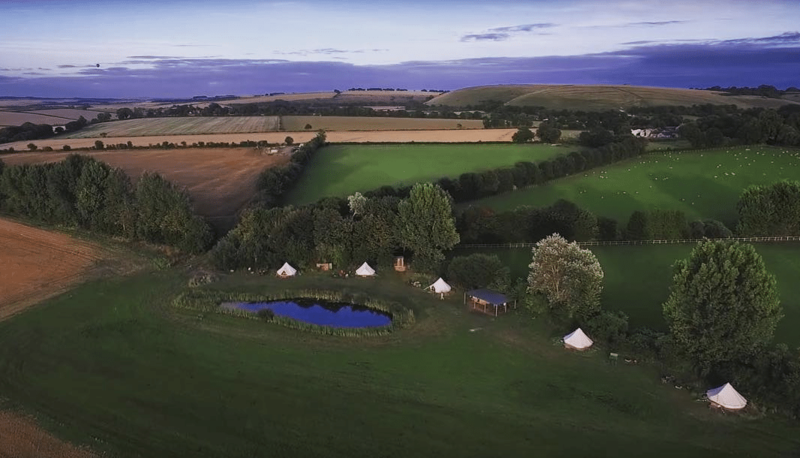 We would love to welcome you to our small exclusive campsite situated on a picturesque working farm in the Wiltshire Chalke Valley. 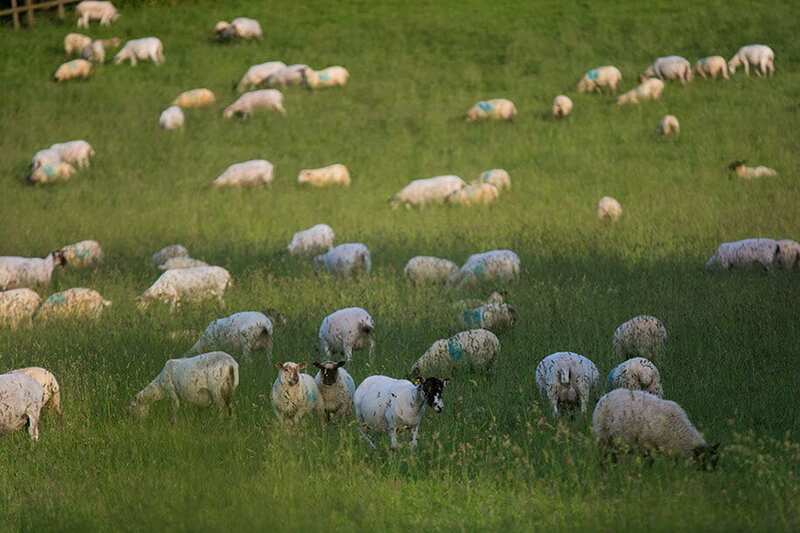 The area is a designated "area of outstanding natural beauty" and is arguably one of the most idyllic areas of the West Wiltshire Downs and Cranborne Chase, and only a few miles from the New Forest in Hampshire. 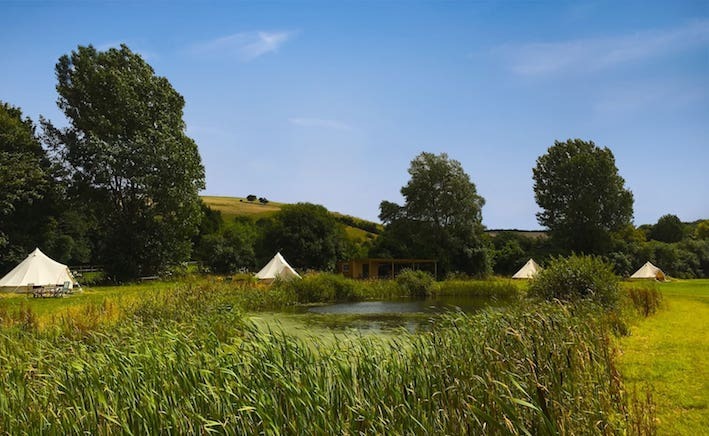 Thank you visiting our website and we hope you choose our site for your glamping holiday in Wiltshire. 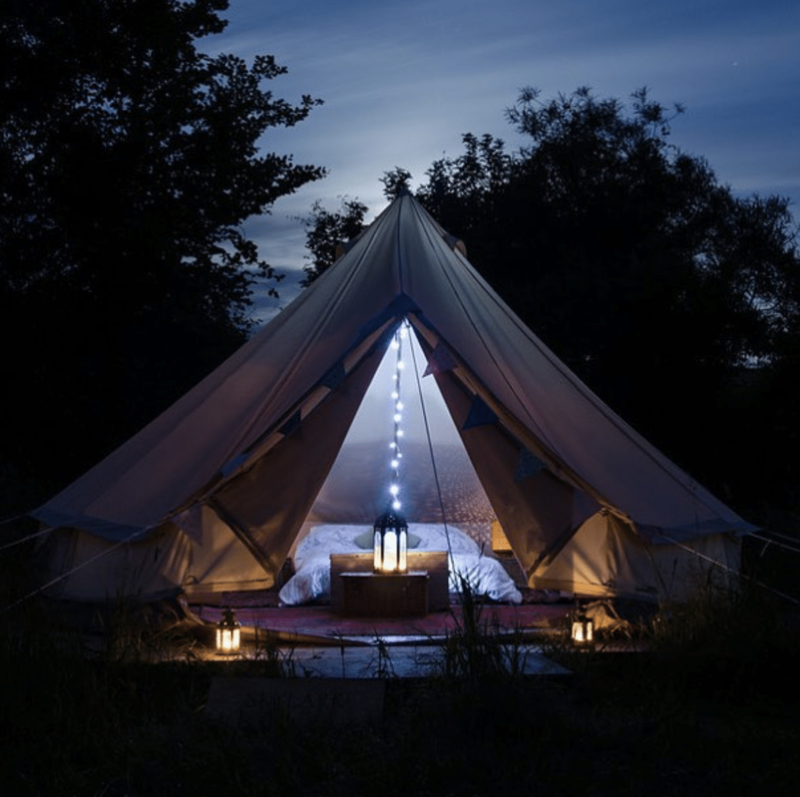 Our top of the range, extra tough canvas bell tents are completely weather proof and can comfortably sleep 4 people. 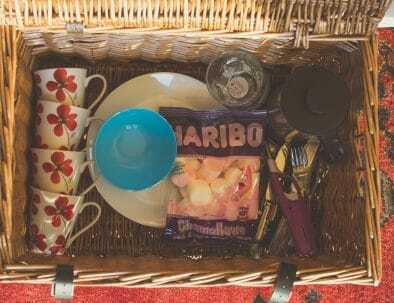 Perfect for groups of friends, families, or couples who want that extra bit of space! They are 5m in diameter with 4 mosquito proof windows. 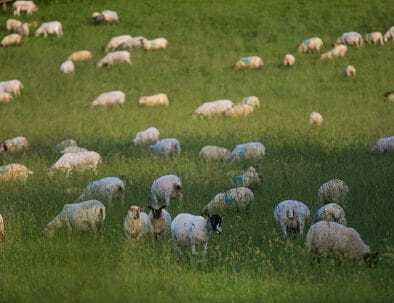 On a hot day the sides can be rolled up, and allow a cooling breeze through the tent. The double doors can be opened with or without the mosquito net. 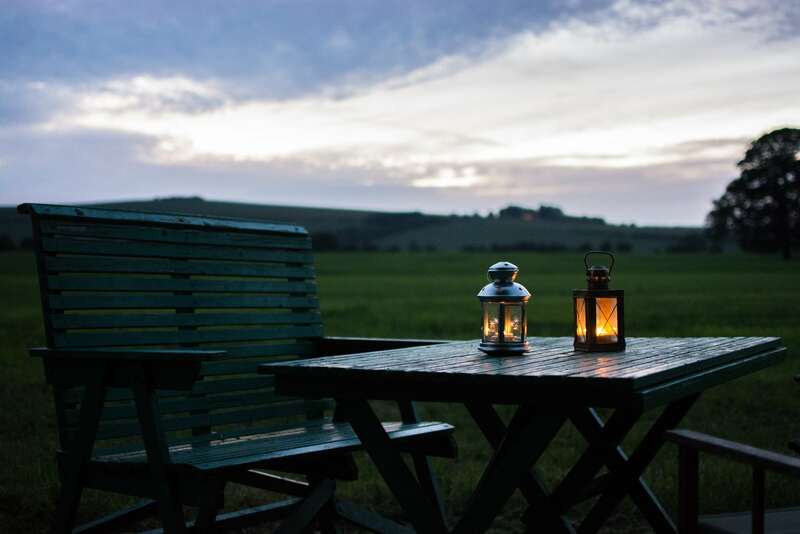 Evenings can be enjoyed in the candle-lit tent with a glass of wine or beer, looking out to the beautiful scenery, or seated around a blazing log fire toasting marshmallows enjoying the panoramic views and star-studded skies. 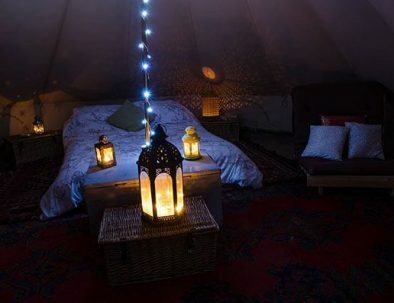 Each tent has a double mattress bed and two single futons, hot water bottles, a few good books, some playing cards, a cafetiere and a few cooking essentials. 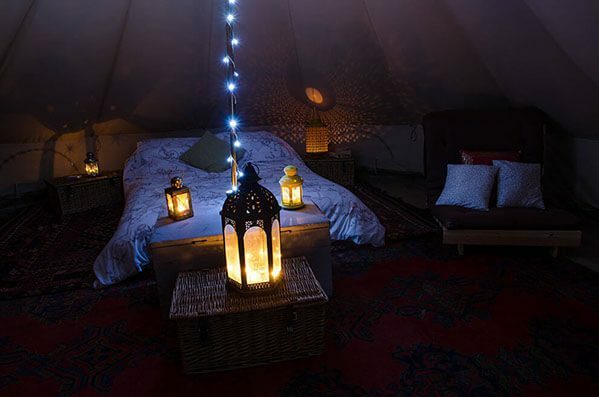 Our bell tents sleep up to 4. Each contains a double mattress (bedding included) and 2 single futons (bedding not included). 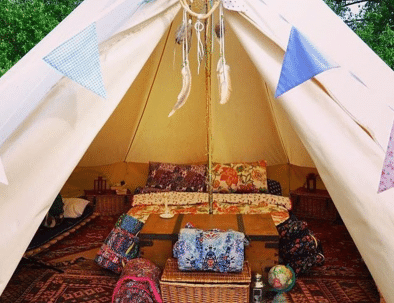 All six bell tents, communal shelter & kitchen area, with option to pitch additional tents and hire generator for small parties. 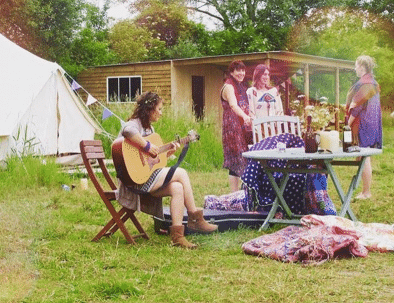 Perfect if you're looking for a more relaxed and rural hen party or wedding reception. Please get in touch before booking. The simple answer is we are somewhere in between! 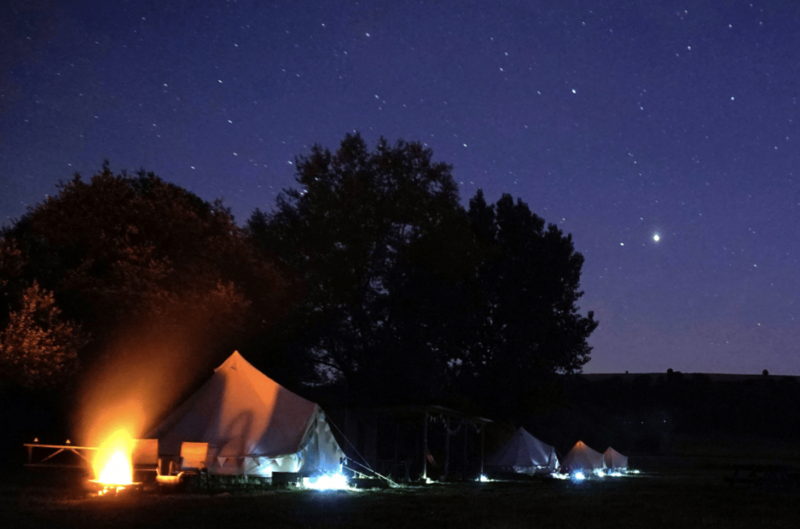 With a huge variety of glampsites and campsites available in the UK, we spent some time trying to decide what type of experience we could offer. 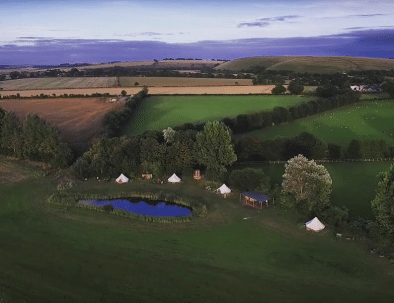 We aim to provide a proper camping experience completely off-grid (10 miles from Salisbury and easy reach from London), with the ability to light your own camp fire, wake up in a beautiful rural Wiltshire, and sleep under canvas. 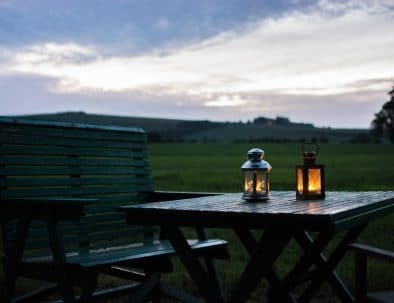 Modern life is full of distractions, and we offer the opportunity to disconnect from your hectic life, and simply RELAX! 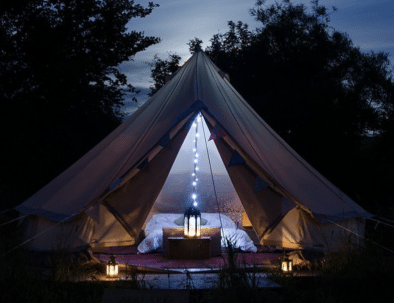 Our tents are great for groups of friends, families, and couples, who want to embrace the outdoors, whilst still enjoying a few necessary home comforts. 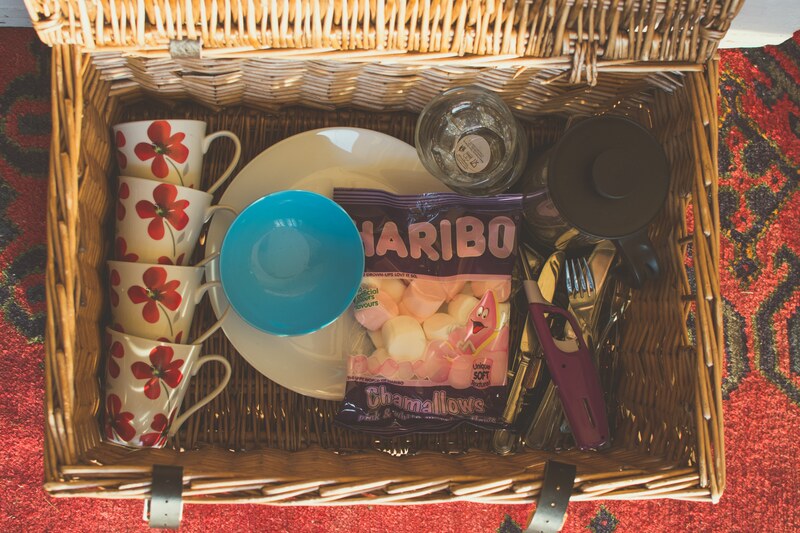 We understand the importance of a freshly brewed coffee and local produce for cooking! A short break away would also make an ideal gift for a friend or family, click to see our gift vouchers. 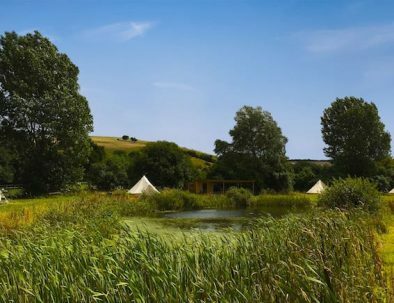 "If the name brings to mind a wildflower meadow with dragonflies skimming over a lily-padded pond, you're on the money."